Thursday was my birthday, and I was craving a good chocolate chip cookie. So I made this recipe for Chocolate Chip Cookies for Two. 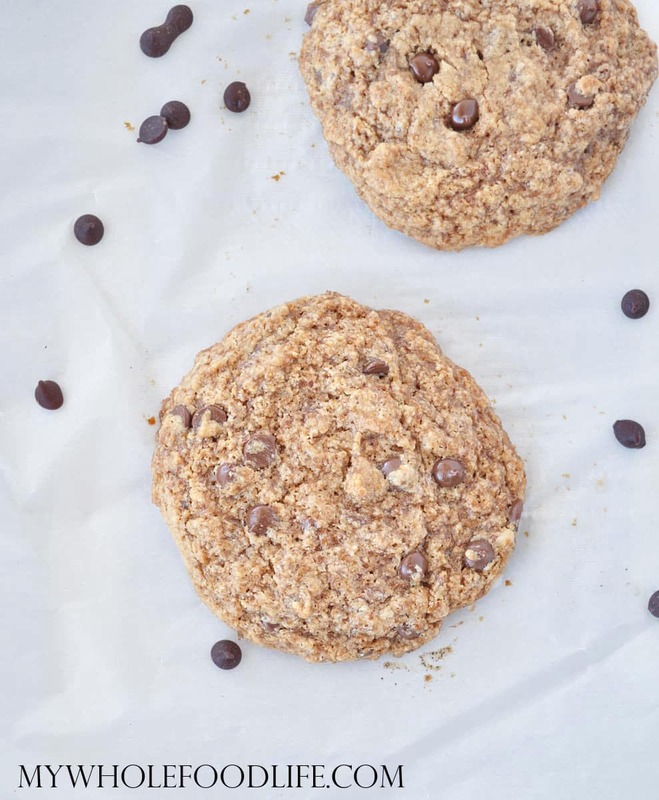 This chocolate chip cookie recipe is so easy and it doesn’t even require a mixer! Plus there is no egg in this recipe, so feel free to just eat the dough if you prefer! These chocolate chip cookies are vegan and gluten free. I am guessing the if you refrigerated the dough, it may work nicely in a cookie dough ice cream. Maybe a single serving banana ice cream? Yum!! An easy recipe for only two cookies you can quickly whip up! Mix the flax meal and water in a bowl and place in the fridge for a minute. In another bowl , mix the dry ingredients. Mix all the wet ingredients, including the flax mixture, in another bowl . Add dry to wet and mix until combined. Fold in the chips. Drop cookies onto a lined baking sheet . I used a cookie scoop . Let the cookies cool completely before removing from the baking sheet. Enjoy!